Dubai: A leading local cement manufacturer, Fujairah-based Orimix Concrete Products, intends to make full use of favourable conditions to launch major expansion projects in Saudi Arabia and Qatar. The company operates ten plants in the UAE — all along the eastern coast — and has overseas subsidiaries in Egypt and Morocco. "The cost of raising capital is at its lowest in ten years, and that's one of the key factors which has prompted us to go in for the expansion now," said chairman Abdullah Ahmad Al Shaheen. "The rates available now would never have been possible in 2007 or 2008." While it will tap into internal resources as well, the company has initiated talks with banks over the financing options. "It's only this year we started the process to leverage the company; banks have responded uniformly well to our plans and, of course, to our balance-sheet and performance of the last six years," Al Shaheen said. "These are international banks we are dealing with, those with a presence in the UAE and in the markets we are expanding into." For both Saudi Arabia and Qatar, the proposed projects will be done through joint ventures with Orimix holding up to 50 per cent of the stakes. Land has already been acquired for the plants, and the commissioning should take place in 18 to 24 months. The choice of these two markets makes business sense. Both are undergoing significant expansions in infrastructure development as well as creating new capacities in their housing stock. The significance is not lost on Al Shaheen, which is why he is able to discount the recent slowdown in new project activity within the region. "Who can deny that the region as a whole has growing populations and homes need to be built to accommodate them," he said. "We link ourselves closely to government-led expansions. "There might be a drop in luxury projects, but there's a lot more that needs to be built and will be. What we are seeing is a slowing down in project activity, not a complete stoppage." Orimix's plant in Casablanca, Morocco, is operating at full capacity and is to go in for an upgrade. However, the plans for Egypt are awaiting a clear resolution to the recent events that have unfolded in the country, the chairman added. "We had the capital committed for Egypt, but were lucky that it did not materialise so far. The project is on hold for the moment." As for prospects in Fujairah itself, Al Shaheen said: "There's a lot of new emphasis on development activity in the emirate, both at the local and federal levels. That would keep our production units busy for time to come." The Orimix plants in Fujairah are currently running at 60 to 75 per cent of their capacity. 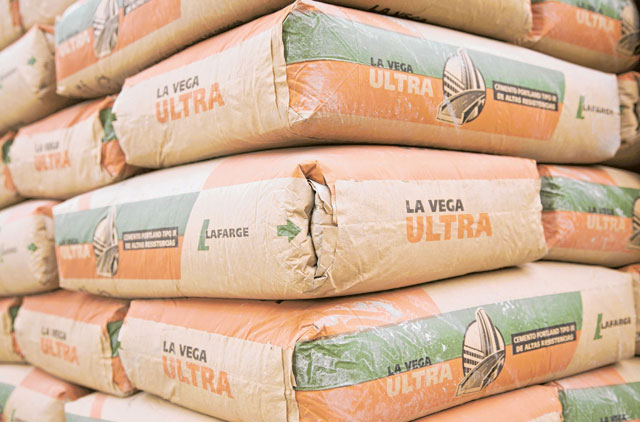 The Orimix chairman said stability reigns when it comes to cement prices now. "But if they go below what they are at now, it would destabilise cement manufacturers." Currently, cement prices hover between Dh190 and Dh210 a tonne. During the recent construction boom, they shot as high as Dh400. While all of its existing capacities are along the east coast, there is a possibility that Orimix Concrete Products would raise new ones in Abu Dhabi. "The management has concluded a feasibility study for a ready mix concrete project in Abu Dhabi," said chairman Abdullah Ahmad Al Shaheen. "The management has decided to capitalise on accumulated expertise by exploring opportunities in other geographic regions to maintain its organic growth. "We are also looking out for opportunities by diversifying into product ranges such as interlocking bricks, which will bring synergies to our existing business line." Launched in 1989, the company has a capital base of Dh30 million.